B EDM is a lifestyle. It’s a way of feeling and allowing your body to move. All over the world, there are musicians and producers desperate to introduce their music to the rest of the planet. But they’re not sure where to start. 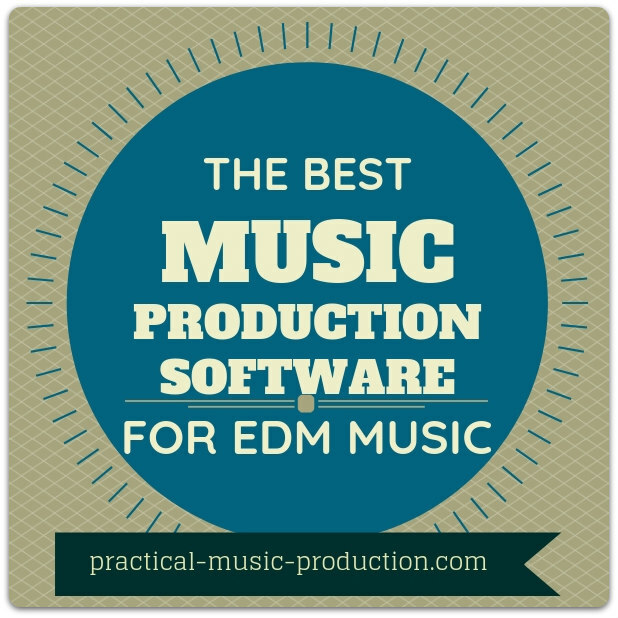 You can start with the best music production software for EDM. Studio One from PreSonus is here to bring all of those musical ideas into reality. Every production and editing feature you could possibly want is available with this program. No longer will talented individuals have to curb their musical talent. With this software, you can easily create and share your music with the world. Check out this simple guide to Studio One and how it can get you started on your production journey. 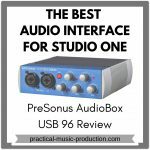 PreSonus Studio One has revolutionized computer-generated music production by making the entire process easier and more sonically profound. It’s single screen interface system allows you to work on a variety of tracks while giving you a selection of instruments and editing tools. You have complete control over the music you create. The first version of Studio One was released in 2009 but it has undergone multiple upgrades since then. The current edition, Studio One 4, came out in 2018. It incorporates all the best features of the original while including more advanced tools with newer, better technology. 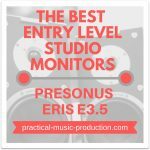 The mission from PreSonus is simple. Studio One was designed to make music production as easy as possible and still ensure the best sound quality. At the end of the day it’s the music that matters, and these programs guarantee music that will put a beat into anyone’s step. Studio One Professional has all the features you could hope for in EDM production software. It boasts 64-bit resolution and supports a sampling frequency of 384kHz (many systems still only support half this figure, 192kHz). It also has many different features, such as Harmonic Editing and Chord Track manipulation. All of these aspects combine together so you can create state of the art music that is powerful and unique. If you’re looking for a more affordable option, you can try Studio One Artist which is considerably cheaper than Professional, but doesn’t include as many benefits. Although it also supports a 384kHz sampling frequency, it only has 32-bit resolution. This still means the sound quality is sharp and pristine, but it’s not quite as clear or accurate (although 99% of people out there would struggle to hear the difference between 192kHz and 384kHz). Studio One Artist also has limited editing features and doesn’t include the video playback option. But for the price you pay, it’s an incredible software program that still gets the job done. Anyone who is passionate about creating music can benefit from using Studio One. Whether you’re a beginner or you’re accustomed to using computer software for producing music, you’ll find Studio One incredibly useful and versatile. It’s also considered the best music production software for EDM, so if that’s a genre you enjoy dabbling in, you’ll find that Studio One’s quality will give you everything you need. Due to Studio One Professional’s wide variety of editing features, it may be a bit complicated for beginners to use at first. Although the main interface is simple, many of the unique benefits may not be used as they are intended. On the other hand, if you’ve been making music for a while using computer software, not only will it be extremely easy to use, but you’ll be awed by how much you can do with this system. As someone just starting out, it’s recommended that you get used to Studio One Artist at first. It’s much simpler to use and has fewer features so you won’t get too caught up in the details. Once you’re accustomed to the system, you’ll have more freedom to explore your artistry and make the kind of music that you’ve always wanted to. Studio One Artist is also an ideal option if you’re on a tighter budget. It’s much cheaper than Professional but still has outstanding quality. Your passion for producing music doesn’t need to be restricted simply because you currently don’t have the funds. Studio One products are available as digital downloads, so you don’t even need to purchase a physical box. When you buy the download, you’ll be given the codes to install the program successfully on your computer. It’s important to note that the program only runs on 64-bit operating systems (luckily most computers these days are now completely 64-bit). If you do decide to buy a physical product, the Studio One box will include an installation disk and user’s manual. This makes it easy to install the software on your computer, and you can always use the disk again in the future if you need to. Unlimited Audio and Instrument Tracks: Allows you to completely control your productions due to the variety of creation and editing features, and as well as musical instrument simulations. Impact XT and SampleOne XT: Assists you in creating massive beats and also allows you to create and edit samples. Mai Tai Polyphonic Analog Modeling Synth: Assists with matrix modulation and character morphing. 64-bit Resolution: Results in extremely high-quality sound reproduction. Scratch Pads: Allows you to test different musical arrangements with ease. Arranger Track: Allows you to cut, move, copy and paste different pieces of tracks around your arrangement – so you can get the exact sound you’re looking for. Harmonic Editing: Gives you control over chord manipulation so you can create and change the chords, substitute complex ones for simpler ones, and structure chords more efficiently. Chord Track: Assists you in deleting chords instantly as well as detecting chords from other audio or instrument tracks. Chord Selector: Allows you to experiment with new chords so you can get out of a creative rut. MIDI Controller: You can change chords in real time so you can try out different examples of how they can follow each other. Pipeline XT plug-in: Gives you the opportunity to add other hardware processors to your session. Printable Notation: Lets you print lead sheets so you can play your music on real-life musical instruments. Using Studio One is really easy and only involves three different processes: Start, Project and Song. Once you’ve mastered each step, you’ll be creating breathtaking music in no time. Start is where your music begins. It allows you to set up new projects as well as create parameters for whatever you’re working on. This page is also where you can find any new updates so you can always get the maximum out of the program. It will also give you extra tips on how to use the other two stages, so you can use every feature to it’s fullest. Once you’ve set up everything in the Start page, you’re ready to begin making music. The Song page is where you’ll start putting everything together from arrangements, instruments, effects and recordings. As you go along, this page also allows you to edit your music so you have complete control over it’s direction. The Project page is all about final production. This is where you work on making your music fit for commercial release, whether it’s burning a CD or prepping it for digital copies. It’s linked to the Song page so you can constantly jump between them to change your masters or stems until you’re satisfied with your final production. It’s important to note that Studio One Artist doesn’t include the Project page – this feature is only available in Studio One Professional. But this doesn’t limit your music creation as you still have complete control over the production process. If you want more information on how to use your Studio One program efficiently, you can check out this video. Unfortunately, although Studio One is excellent software when it comes to creating EDM, you’ll still need an audio interface if you want to record real instruments or vocals. 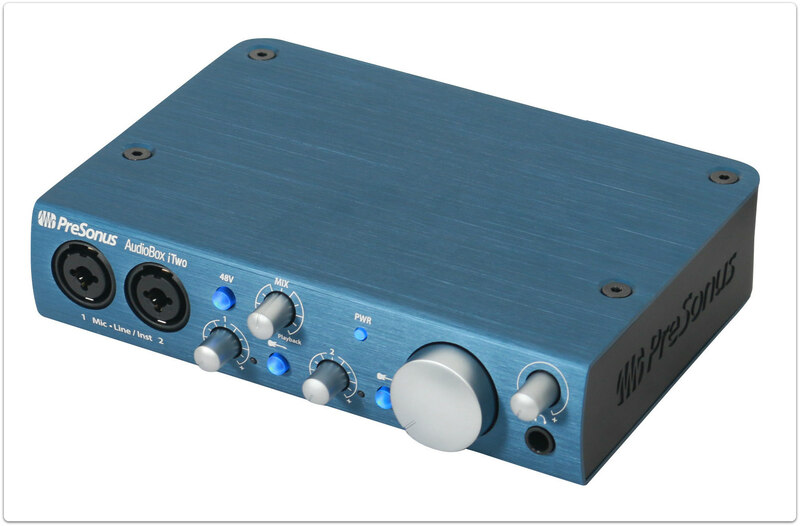 If you’re looking for a recording system to do this, you can try the Studio 24 or the AudioBox iTwo (both also from PreSonus) – these include everything you need to record, including headphone jacks, monitor outputs, and microphone inputs. Studio One also doesn’t include any headphones which you might feel are necessary in order to create high-quality music. In this case, the Audio-Technica ATH-M50x headphones are an ideal option to include with your purchase. They are an excellent pair of headphones – ideal when it comes to EDM production. 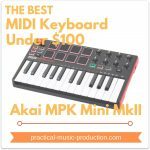 If you prefer to work with a keyboard for music production rather than a computer interface, you can always try the Akai Professional MPK Mini MKII. This has a variety of features that lets you have more hands-on control of your music creation process. It’s believed that music can change the world. With Studio One from PreSonus this gets closer to reality. The Project feature in Studio One Professional makes it easier than ever to share your music with the world. You also have incredible creative control when it comes to producing your own music. If you simply want a more affordable way to make your own music, or you’re just starting out, you should consider Studio One Artist. 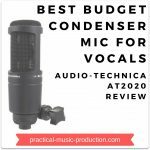 It also guarantees high-quality music production while still being within a tighter budget. 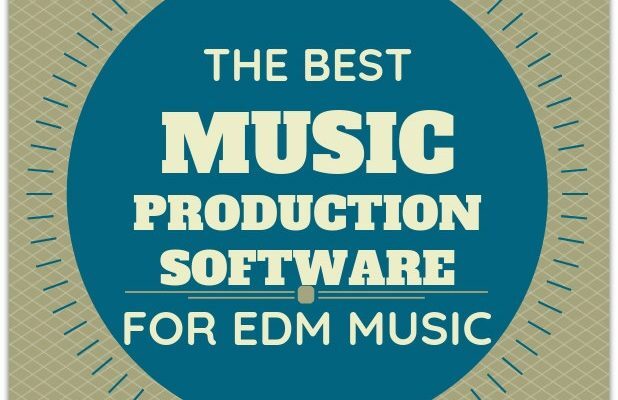 There’s a reason Studio One is the best music production software for EDM. It’s down to the powerful, moving music that you can create with this program. Are you ready to bring life back to the dancefloor? With Studio One, you can.